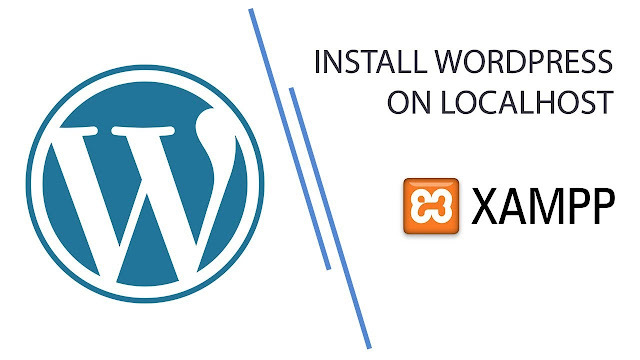 Want to install XAMPP including WordPress to create a local WordPress development site? XAMPP makes you run a website from your very own computer. Also once you get it set up, you can spin up a new WordPress install with just a few clicks. But to actually install XAMPP and WordPress can be a little tricky therefore you might need a helping hand. You know that WordPress is the best for creating websites. And to create a website you must take the domain and hosting for the website. The domain is the word URL in your words such as we visit TechJan every day, for that we have to write in our browser's URL bar TechJan.com and this TechJan.com is a domain. There can be multiple domains on one website. There is no problem. Hosting is website storage. This means that all the information about your website will be stored in this storage. In simple words, if you want to keep your website on the internet, you will definitely need some space. And this place is the hosting. But for domain and hosting, you must pay the money. But those who are new to WordPress are a little expensive to buy a domain and hosting with money. 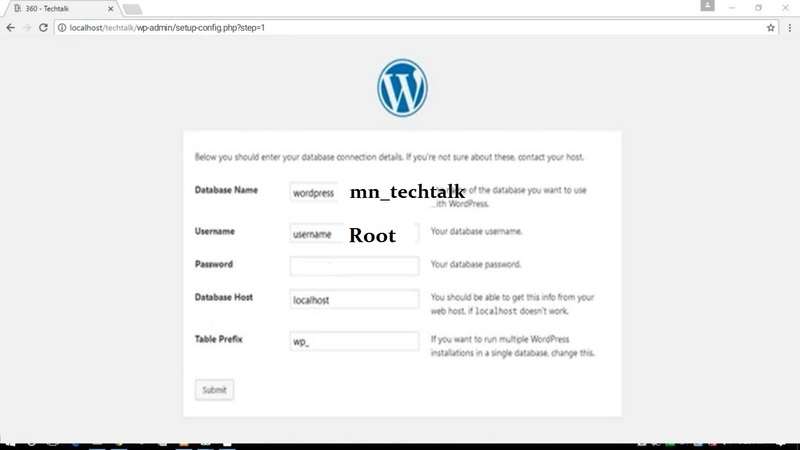 So to showcase WordPress today, you will show how to use your own PC as a hosting. Do not need it. But you can not find your site on the internet. To begin with, you will need software and a zip file. 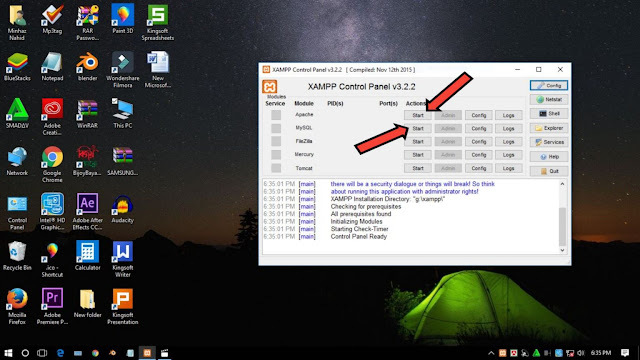 The software is named xampp and zip file is WordPress's zip file. Download the software and zip file from the following link. Now after downloading, if you want to do WordPress, you can do the job without an internet connection. After downloading Xampp software, install it, but do not install it on the PC's local disk or C drive. Because of your different requirements, you may need to have new windows on your PC. 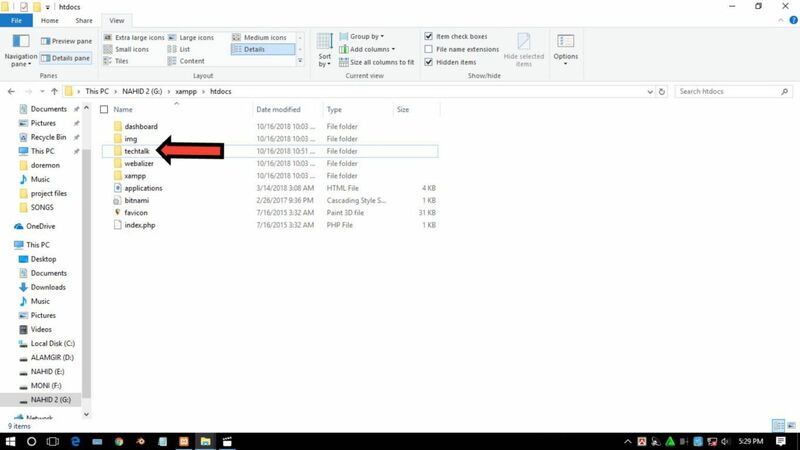 And if you give new windows your local disk or C drive Everything will be deleted. So install on any other drive. 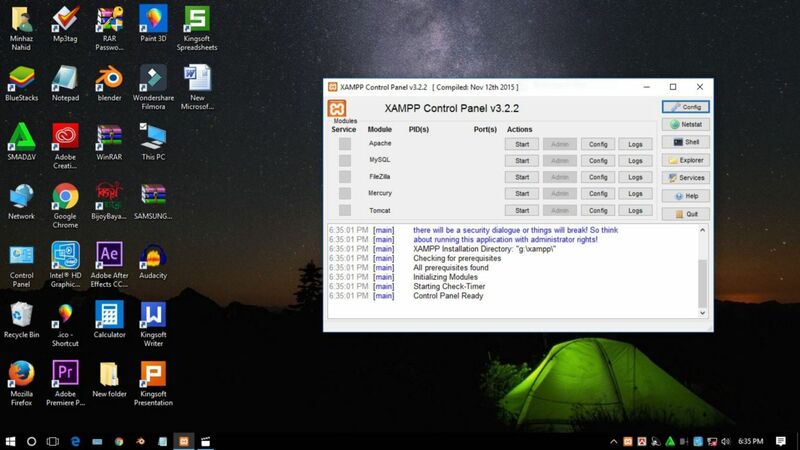 After installing the Xampp software, open the page, then the page will appear below. 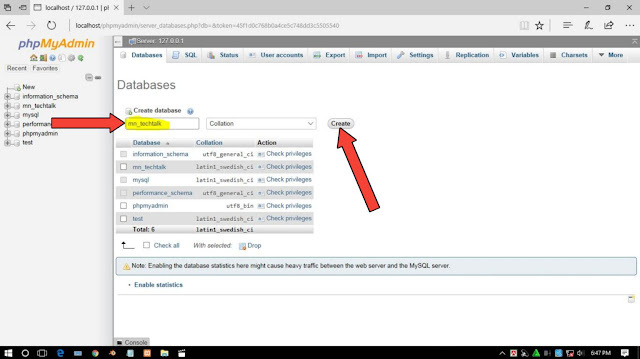 Then click on the Start button next to Apache and MySQL and then on these two options. 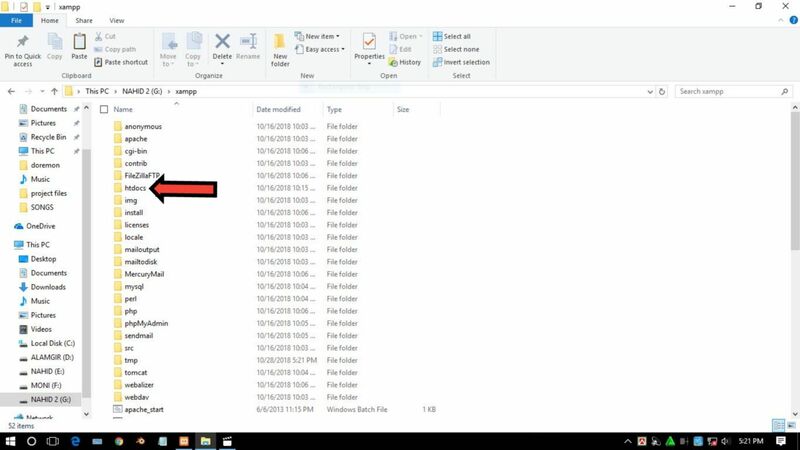 Then you go to the folder where you have installed the software. 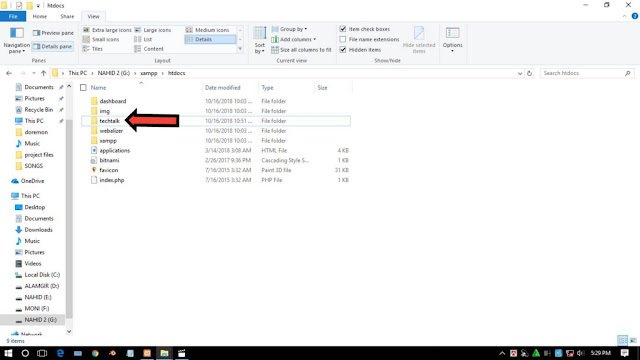 Then you can see a folder named htdocs like below. Open the folder named htdocs. After opening you can see the following. 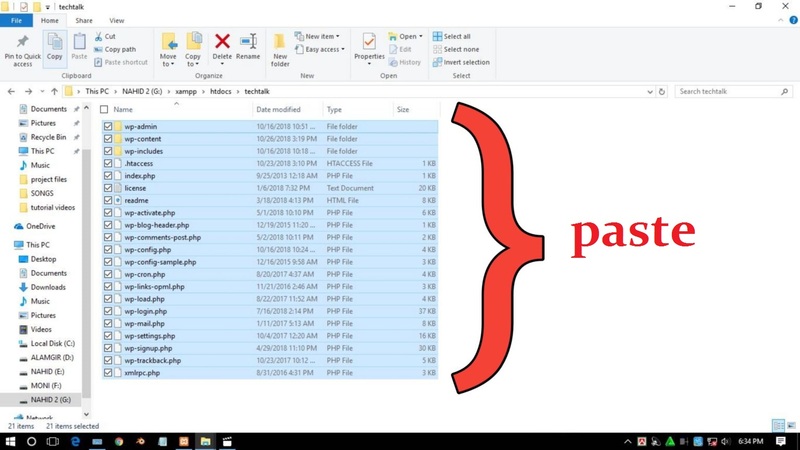 Here you have to create a new folder and name the folder name of your website. 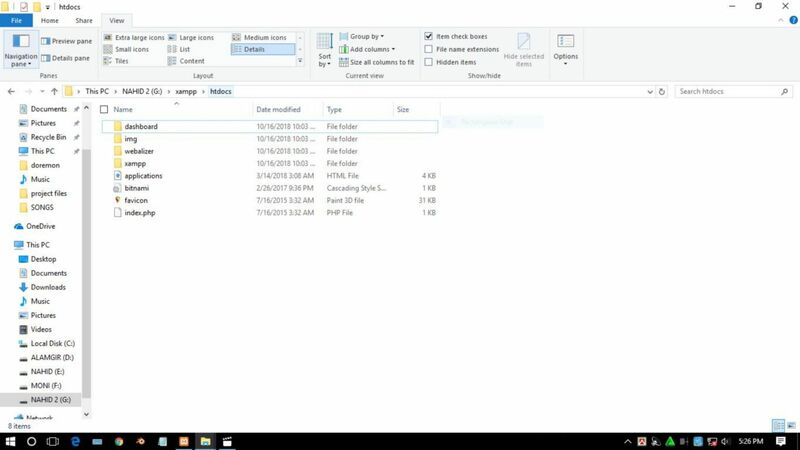 Now unzip the zip file you downloaded. Unzip the files below will be able to see you. 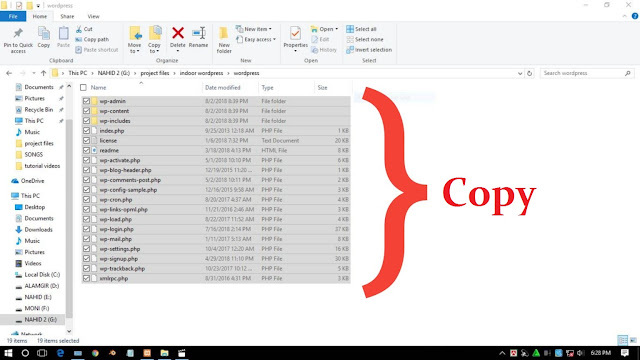 There will be a total of 19 files and in 19 files, you copy and paste the new folder inside htdocs into that folder. For example, I created a folder named techtalk and paste it in the folder named techtalk. 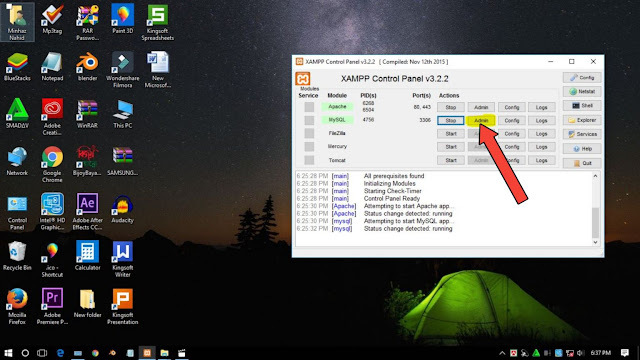 Now you can go to xampp software again and click on MySQL admin to show the following. A browser will open in front of you and the page will load. After loading the page you can see the following. Then click on the databases as follows. Then click create and then the job is done. 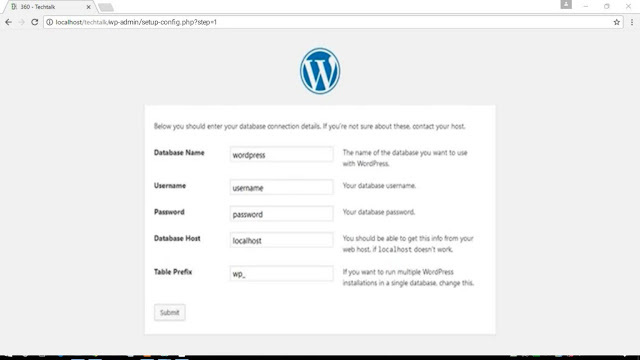 Now it is only necessary to set up WordPress. So I gave it to you. You must give it to your username. Delete the root and all of the password. In essence, keep the password's house completely empty. Then click Run the installation. 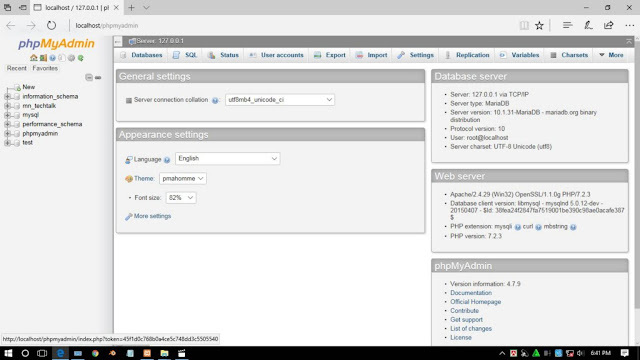 Then you can renew your site title, username, password, email address, click install WordPress. After installing Wordpress you will get login option of WordPress. Then you can log in to WordPress with the username and password given to you and do all the work of WordPress. 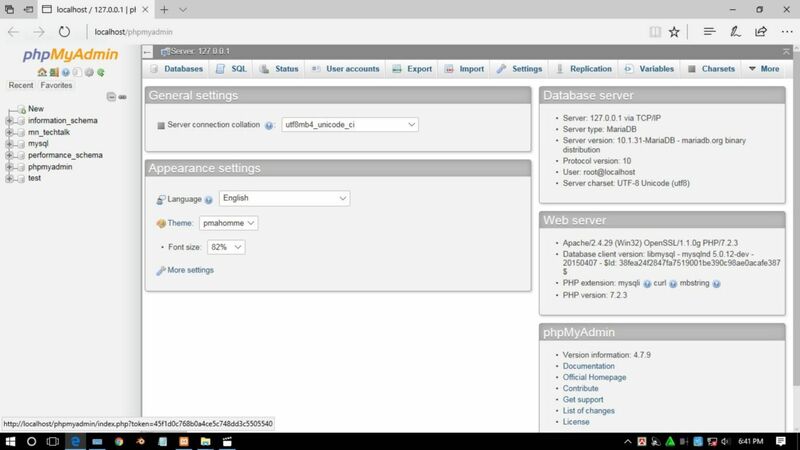 Now when you want to work in WordPress, just start the Xampp software Apache and MySQL and go to any browser. 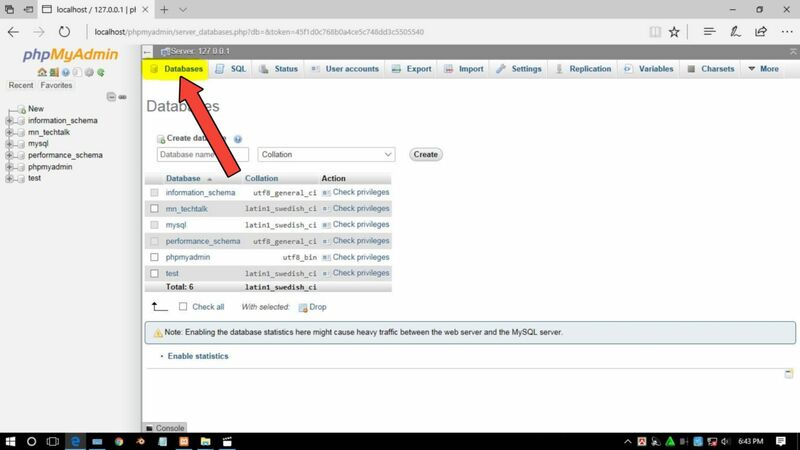 Then you will get the option of WordPress login and you can log in to WordPress's Dashboard.